Faithful to its values of generosity and that of a smart-buy brand, Dacia is promoting simple offers and equipment at the tiniest price, whilst always improving its design, with new front-end identity introduced on its latest models. Logan 2 comes 8 years after the 1st-generation Logan. Starting at only €7,700 in France, it will go on sale later in 2012. 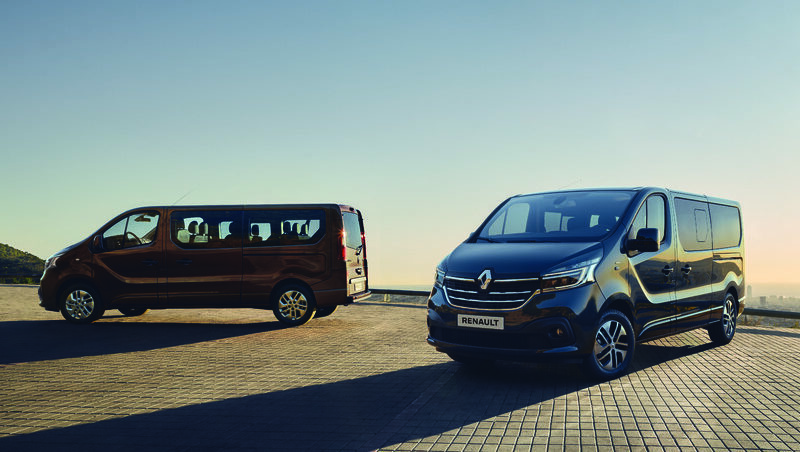 Sporting the new brand identity on its front-end, it also features a new range of equipment like cruise-control (first time ever on a Dacia vehicle) and the MediaNav system. 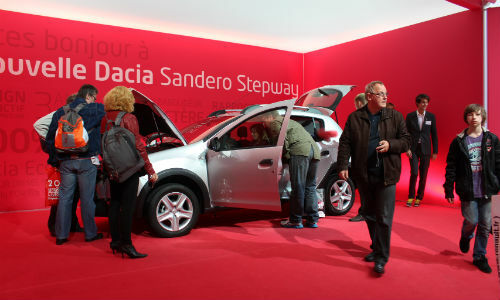 Sandero and Sandero Stepway were also introduced at the Paris Motor Show this year. 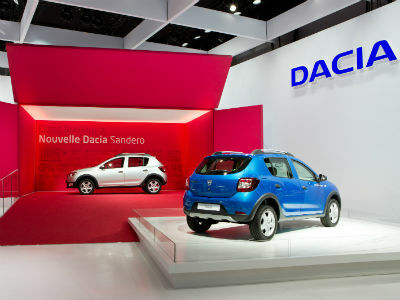 Featuring the new front-end identity of the Dacia brand, they are already available for orders with prices starting at €7,900 (Sandero) and €10,590 (Sandero Stepway), equivalent to those of the previous generation. 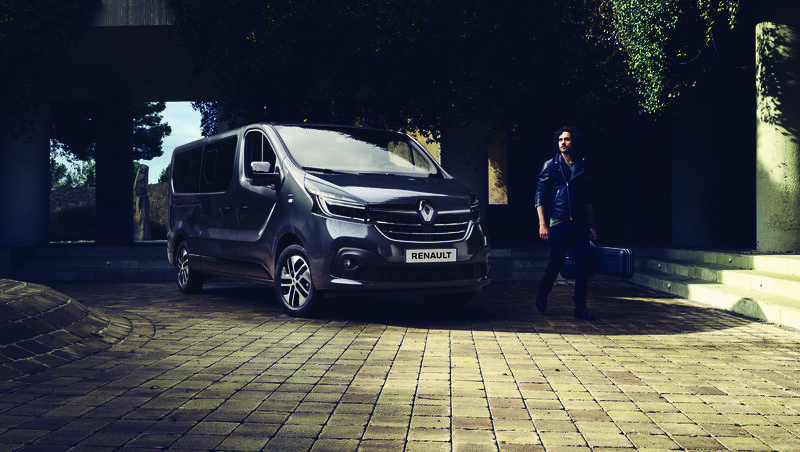 Like Logan, these two models "are putting our competition in a deep level of stress", as put by Renault Group COO Carlos Tavares. 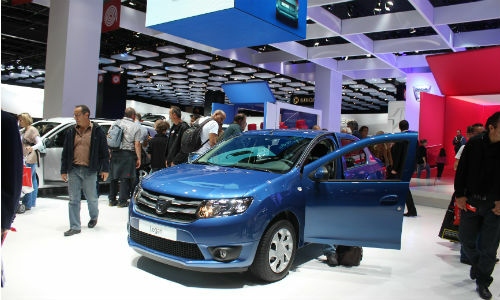 At the Paris Motor Show 2012, Dacia not only unveiled 3 new models, it also introduced a new concept for its stand, called "the box". The idea was to show off Dacia's simplicity, robustness and flexibility. The box also evokes the idea of a present, of something being hidden and waiting to be unveiled. 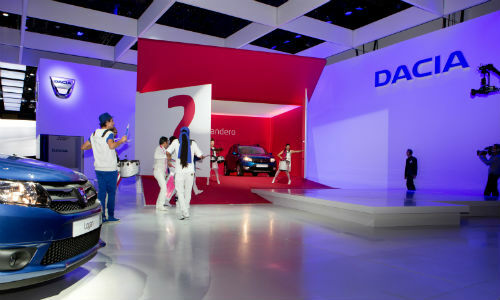 The stand features different sizes of boxes, from the ones containing the cars to the smaller ones hanging from the ceiling and broadcasting Dacia videos. 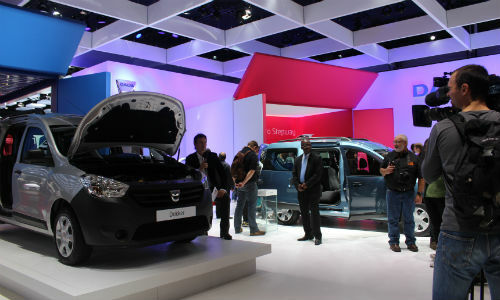 LCV Dacia Dokker, revealed at the Casablanca Motor Show in 2012, is making its debut in Paris. 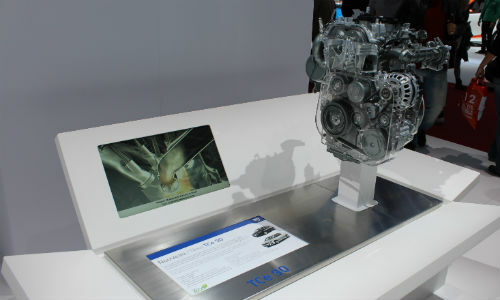 Produced by the Renault Group, this new 3-cylinder 90 hp gasoline engine is similar to the new engine equipping New Clio, except it won't be available with Start and Stop feature. It will equip Logan and Sandero.